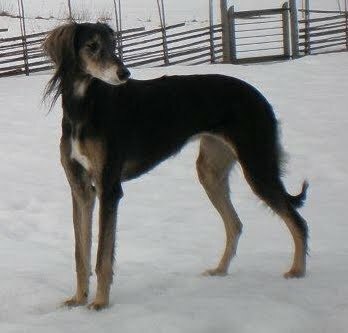 Dar el Hindiyas Saluki: Jalisa still in winterlandscape! Jalisa in Dalarna in the middle of Sweden. There is still lots of snow in April this year. Anisa is awaiting the racing season to start!